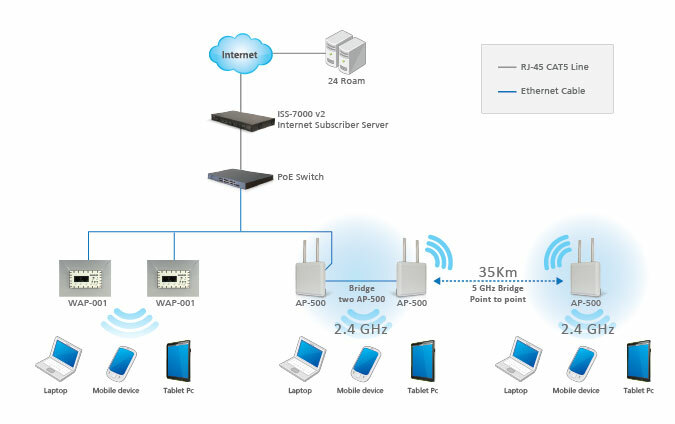 The Handlink AP-500 Dual Band Outdoor Access Point / Client Bridge is designed for outdoor WiFi communication up to 35km. 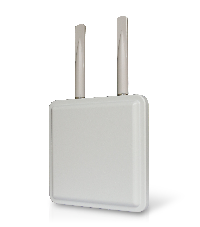 Based on the IEEE 802.11 a/b/g/n standards operating on 2.4GHz or 5GHz frequency, the AP-500 Outdoor AP covers a large operating distance to provide a maximum wireless signal rate of up to 270Mbps (HT40) speed. Its dual band features let you operate at any wireless frequency you desire. The AP-500 Outdoor AP is capable of operating at one of four modes: Access Point, Wireless Bridge, Repeater, or Client Bridge. Deployed individually, or as a system combined with indoor access point, it can extend into those hard-to-reach spaces. It is ideal for outdoor WiFi Internet used for hotels and resorts covering pool areas, for schools and stadiums covering sports facilities, and for general enterprises covering shipping docks and other outdoor areas where Ethernet cabling is not possible. Built-in 2x2 MIMO 5GHz high-gain antenna, the AP-500 Outdoor AP point-to-point/multipoint bridge is perfect for variety of carrier applications such as offering Wi-Fi video surveillance service. It is also ideal for enterprises looking to extend broadband connection to remote buildings where fixed line broadband connections aren't feasible or cost effective. Our AP-500 Outdoor AP product is designed with the Power over Ethernet (PoE) feature, which allows power and data transmitted over a single network cable. This capability provides for simple, convenient installation. It becomes much easier to manage, integrate, install, maintain, and troubleshoot. 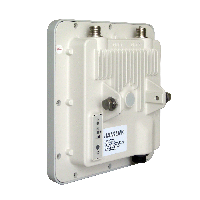 Our WLC-1000 Access Controller can work with AP-500 Outdoor Access Point and WAP-001 In Wall Access Point. The external antennas are optional.